It is the job of a property managers to keep meticulous records of administrative and financial paperwork, keep up maintenance on the building, ensure rent is collected, and respond to the needs and issues of tenants. Just as in any field, mistakes can be made, whether something is filed incorrectly or isn’t fixed properly. As a professional service, property managers can be held liable for their mistakes in court. There are a few ways that a property manager can protect themselves from the financial burdens of litigation and McGowan is here to help you sort through all your options. 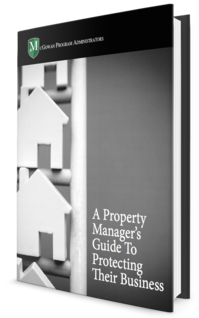 Protect yourself and your business before something goes wrong – download A Property Manager’s Guide to Protecting Their Business. ©2018 The McGowan Companies. All rights reserved.